Background: Far-red (FR) light, corresponding to 700- to 750- nm wavelengths of sunlight, is not used by plants for photosynthesis and thus is enriched in canopy shade; in addition, it can penetrate deeper into soil than other visible wavelengths. 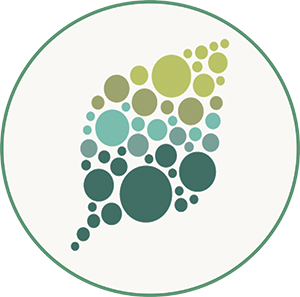 Therefore, FR light serves as an important environmental cue that regulates various aspects of plant growth and development, such as shade avoidance and seed germination. FR light is perceived by one member of the phytochrome photoreceptor family, phytochrome A (phyA). 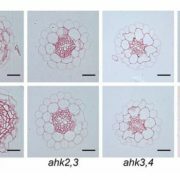 Upon FR light irradiation, phyA changes its conformation, translocates from cytosol into the nucleus, and interacts with a series of signalling components, ultimately resulting in physiological and morphological changes. 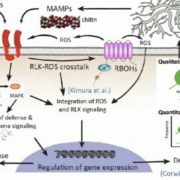 It was previously shown that phyA can be rapidly phosphorylated and degraded upon FR light exposure, which play into their role in FR light signal transduction in plants. 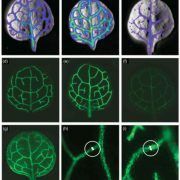 Question: Are there other factors that mediate FR light signal transduction in plants? What factors are involved in regulating phosphorylation of phyA? 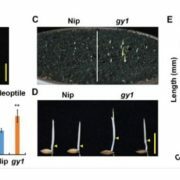 Findings: We identified two Arabidopsis mutants that develop longer hypocotyls than wild-type seedlings in FR light, indicating that FR light signal transduction is impaired in these mutants. 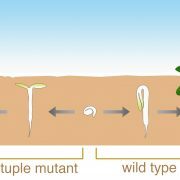 A single gene, designated as TANDEM ZINC-FINGER/PLUS3 (TZP), was shown to be responsible for this phenotype. 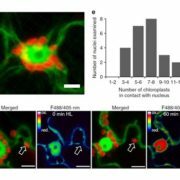 It was previously reported that TZP encodes a nuclear protein involved in regulating blue light signaling and photoperiodic flowering. In our work, we found that transcription of TZP increased dramatically in light conditions compared to darkness (suggesting that more TZP protein is produced) and also that TZP proteins were differentially modified in different light conditions. 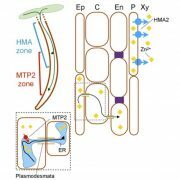 Moreover, TZP interacts physically with phyA in the nucleus, and is required for phyA to be phosphorylated in the nucleus in FR light. 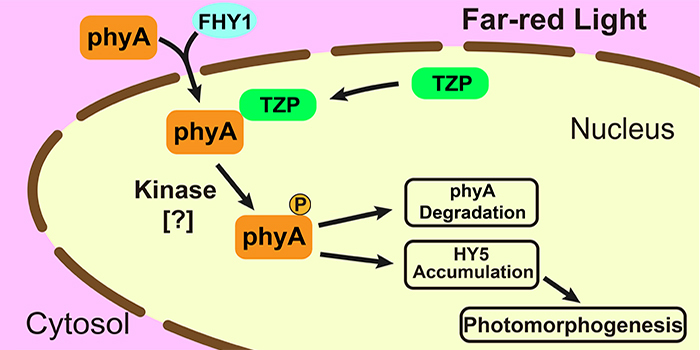 Our study thus indicates that TZP plays an important role in plant response to FR light, and also suggests a role of phosphorylated phyA in inducing the FR light response. 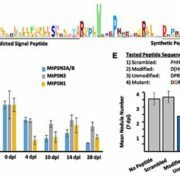 Next step: We aim to elucidate how phyA is phosphorylated in vivo; does it phosphorylate itself, or is another protein kinase(s) involved? This will help answer the question of how TZP regulates phyA phosphorylation.